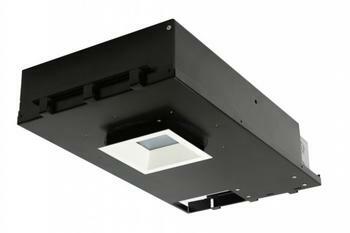 Ketra, Inc., of Austin, Texas, is recalling about 3,400 Ketra D3 recessed downlights. The firm has received two reports of incorrect wiring found in the downlights by an electrician. This recall involves the Ketra D3 recessed downlights produced between November 4, 2016, and March 14, 2018. The date code is located on a sticker attached to each unit and is in the format KWWYY representing WW-work week and YY-year of manufacture. Only downlights with date codes between K4816 and K1118 are included in this recall. The Ketra D3 downlight is typically installed behind a ceiling and the light generated by the LED illuminates the space below. The light fixture enclosure measures 18.5 inches by 10 inches by 4 inches, is dark gray and black, and weighs approximately eight pounds. The downlight, manufactured in China, was sold at authorized Ketra lighting distributors and specialty audio/video stores nationwide from November 2016, through April 2018, for between $550 and $750. Consumers should immediately stop using the recalled downlights and contact the firm to schedule a free inspection and, if needed, repair by a technician. Consumers should not try to inspect or repair the units themselves. Warnings and instructions must be followed to disconnect power prior to servicing, removing or replacing the recalled products. Consumers may contact Ketra at 800-940-5917 from 9 a.m. to 5 p.m. (ET) Monday through Friday, online at www.Ketra.com and click on “Important Safety Notice” link or www.KetraRecall.com for more information.